What an event! Thank you to the amazing hosts Karla Randolph of The Card Lady and Stephania R.P. Panayotopoulos of For My Sweet P for putting on Something Blue. I recently attended this boutique size wedding event showcasing all the most important wedding details in our area. It was so fun to see all of the details that are involved in planning a wedding. 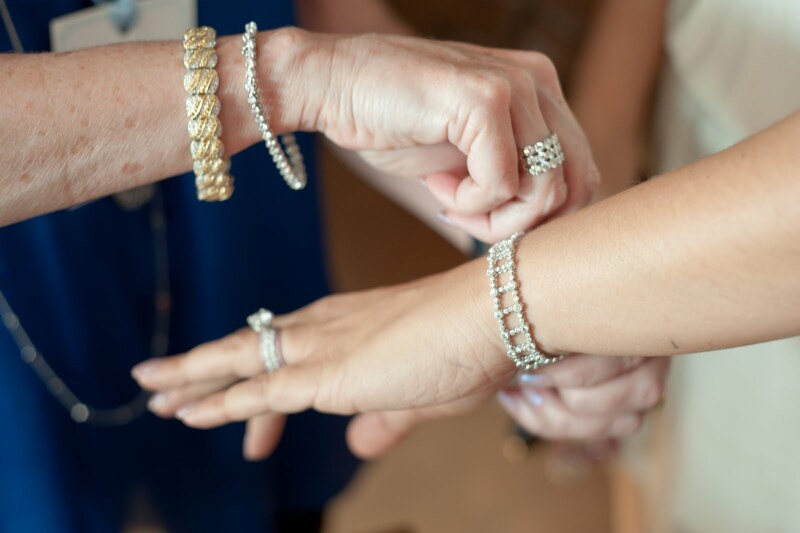 From invitations, to favors, make-up and jewelry, brides and wedding vendors had the opportunity to see amazing details that are incorporated into a wedding. 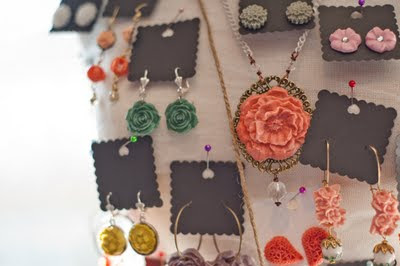 The event was also a great way to connect with vendors and brides in the area. Thank you to Jaymer Delapena of Balance + Contrast for capturing the many details showcased at this event. Below is just a highlight of the event that I wanted to share with all of you. Looking forward to more events like this in the future! Candy bars are always a hit at weddings! It's a great addition or replacement for favors if you want to provide cute little bags with a design or colors that match your wedding. Kids and even more-so, adults, love candy bars! Often times I see adults more at the candy bar filling their bags than kids ;). 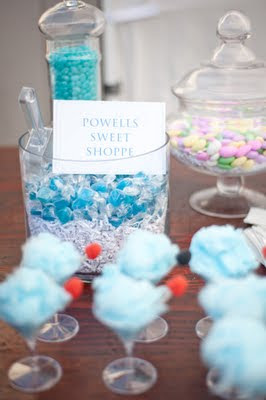 If you decide to have a candy bar at your wedding make sure to have extra candy to refill because it will go fast! The candy for this event was provided by Powells Sweet Shoppe and Sugar Cloud. 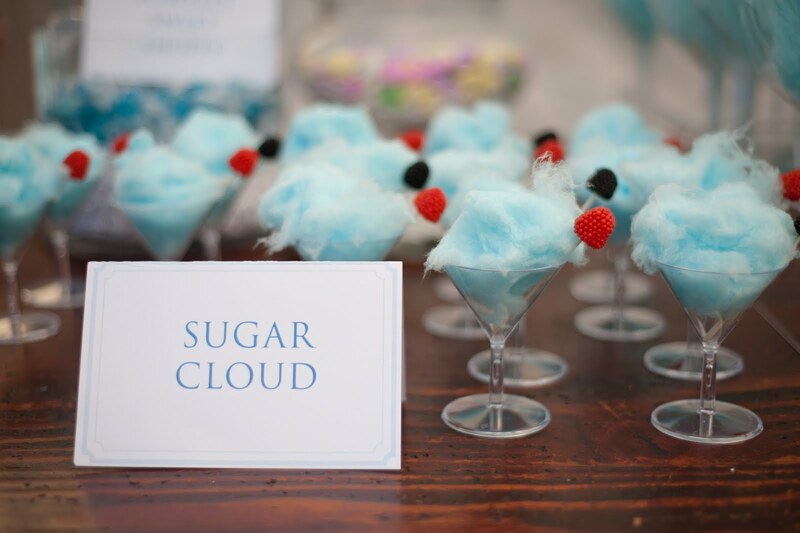 I loved the display of cotton candy in a little martini glass - so cute! 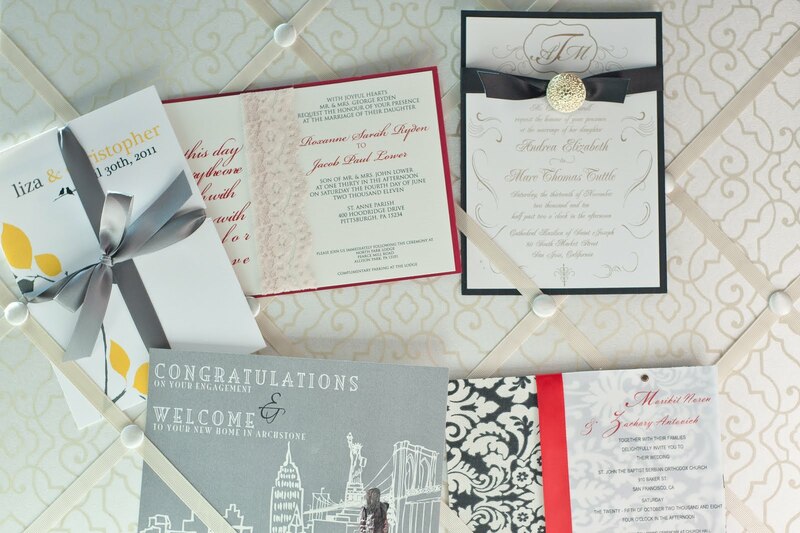 Wedding invitations often times set the tone for your wedding. It's the first exposure (if you don't do save-the-dates) of your wedding style to your guests. You can either do something simple if you're not sure what your theme or design is going to be or create something that matches your whole vision. 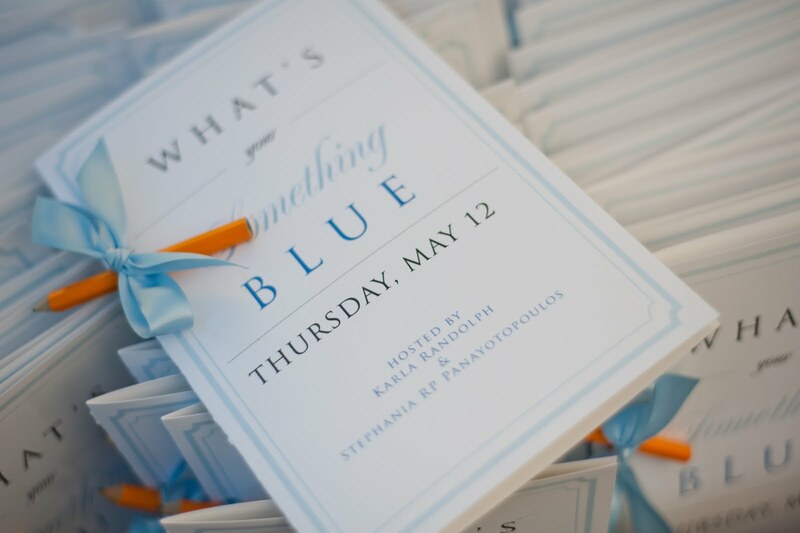 These invitations were created and designed by the amazing Karla of The Card Lady, a company that designs custom invitations and paper goods for your special or corporate events. Of course you need to add some accessories to your wedding look. 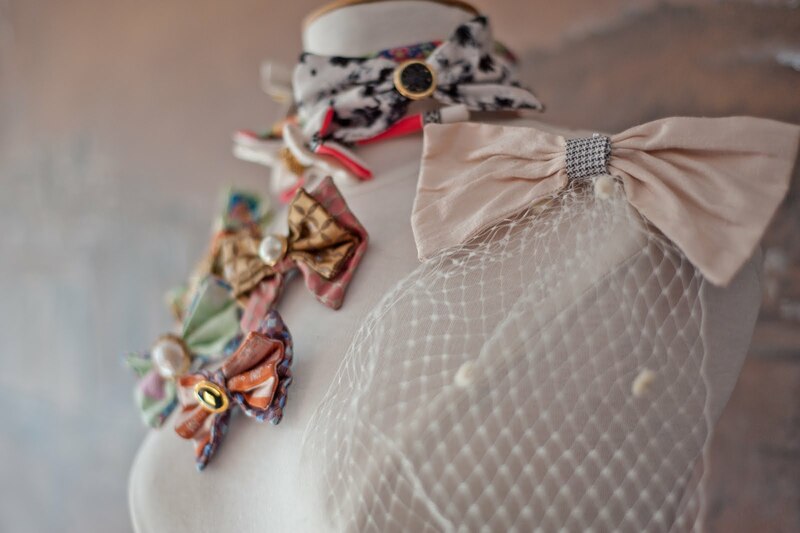 Check out these cute bowties and stunning jewelery. An option for these bowties is to use them in replace of a garter for your garter toss! 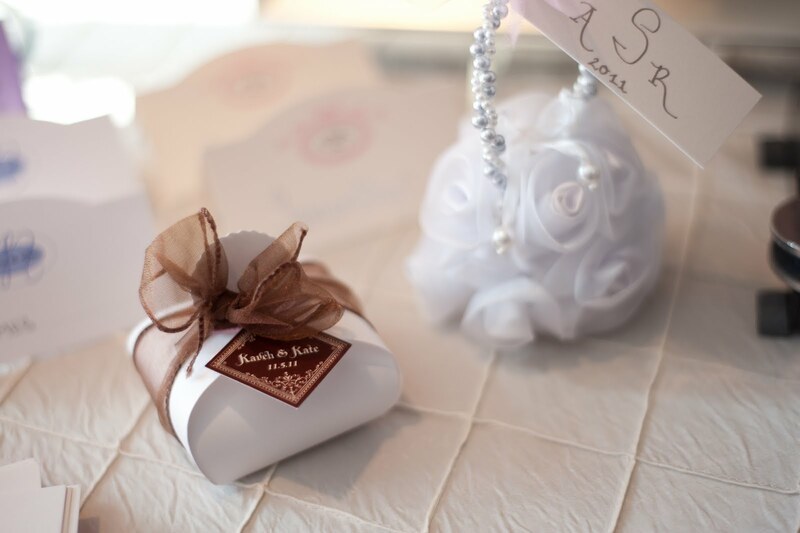 Wedding favors are a sweet way to thank your guests for joining you to celebrate your special day. And they add a nice decor to your reception tables. The nice thing about favors is you can customize them and add a personal touch to your wedding. These favors were created and designed by the talented Stephania of For My Sweet P, a company that provides custom calligraphy, favors and planning. One of of my favorite details I saw at this event was The Poetry Store. 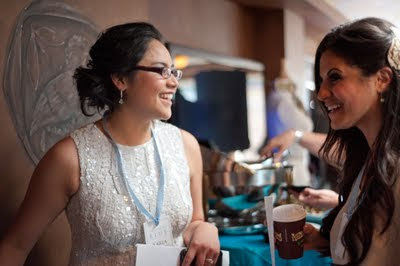 Silvi Alcivar is a poet and she has a wide range of services that you can include in your wedding reception activities. 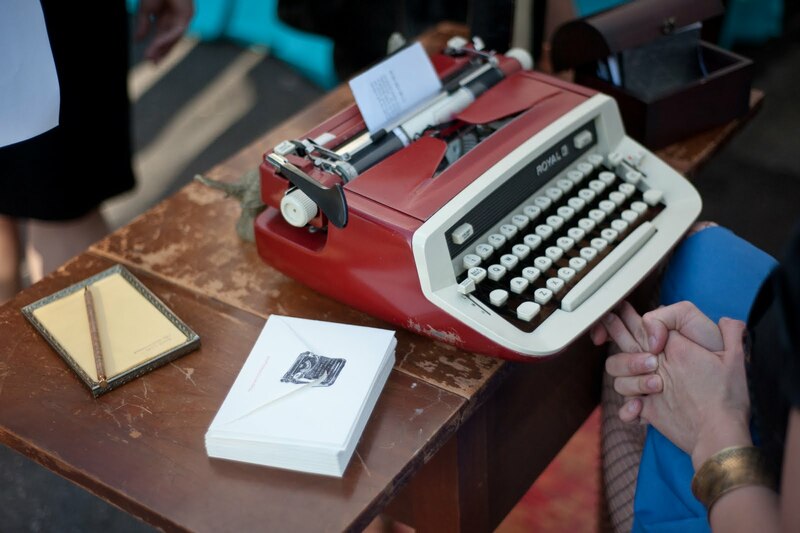 She provides an unforgettable experience typing custom poems on-the-spot. I was truly impressed with the poem she wrote for me under three minutes! She types on a charming vintage typewriter which can work really well if you're planning a vintage wedding. If you're looking to add something a little different for your guest book or in addition to the traditional guest book, definitely check her out. She's really sweet, too! There were other details showcased at the event so this was just a few of them. There was a fashion show showcasing bathing suits and lingerie with hair and make-up by "That Girl" Beautique. The delicious food and venue was provided by Opa! Restaurant in Los Gatos. For more information about this event check out Something Blue on facebook.